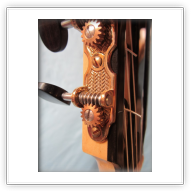 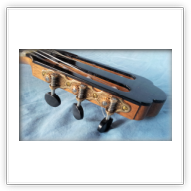 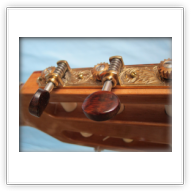 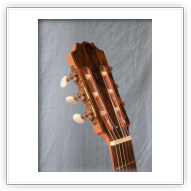 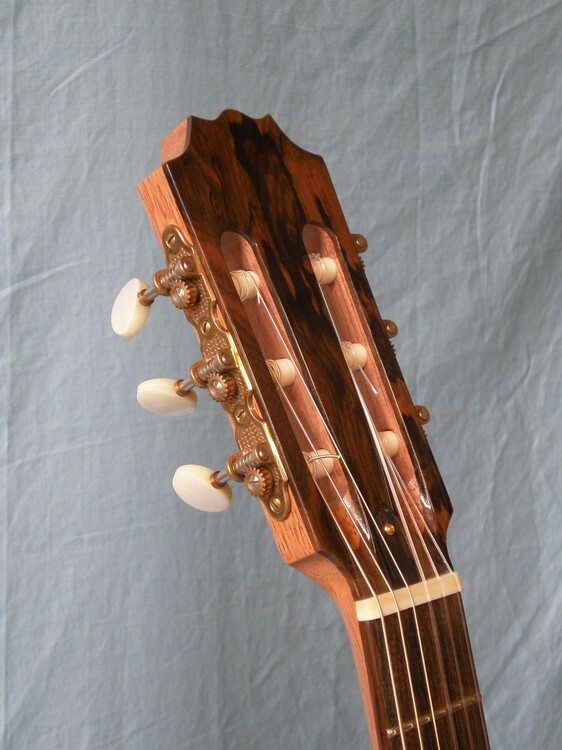 Tuners on The Dome guitar are high quality Waverly, made in USA. 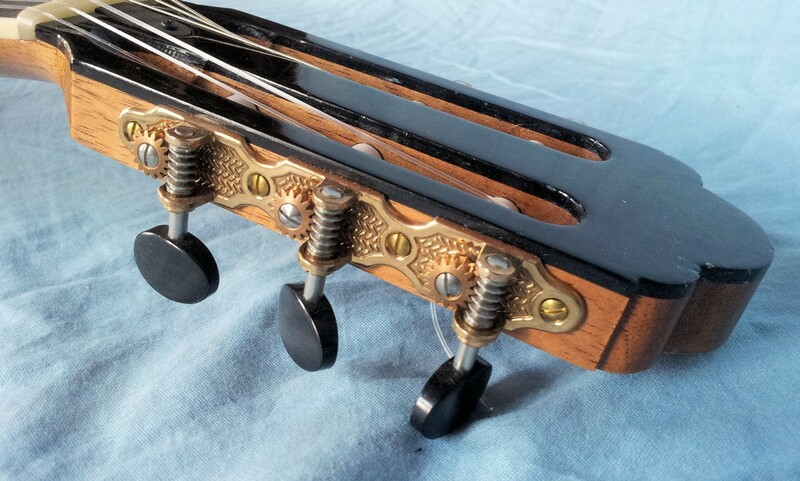 With bronze base plate and smooth, lifelong operation. 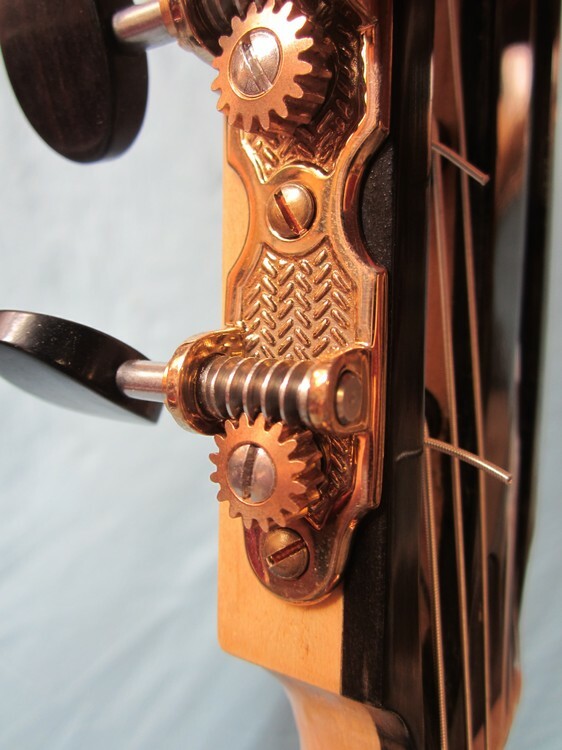 A quality guitar simply deserves quality machine heads! 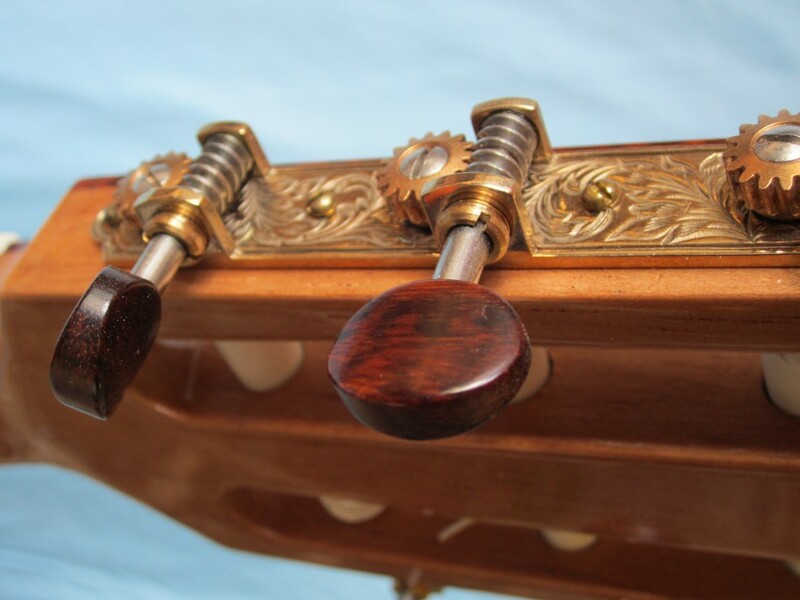 Choices in knobs are pearloid plastic, ivoroid, ebony, snakewood.